(Apr. 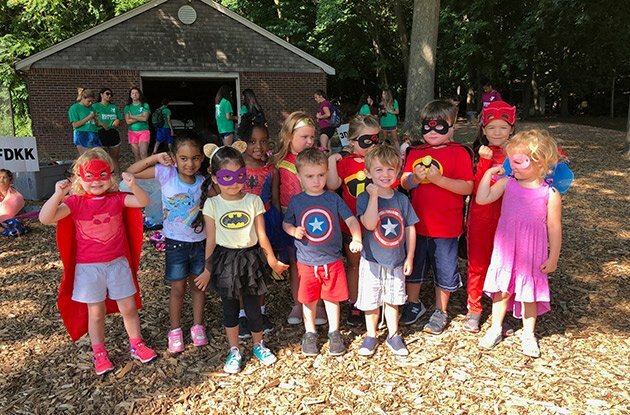 09, 2019) - UPDATED April 2019: If you are looking for an activity for your child to do over the summer, look no further than our comprehensive guide to camps to summer programs. Whether your child is interested in art, dance, music, theater, martial arts, gymnastics, sports, swimming, or academic summer programs, there is something for everyone throughout Rockland County. Our guide includes day camps, specialty camps, sleepaway camps, and outings for campers and families in Chestnut Ridge, Congers, High Falls, Nanuet, New City, Nyack, Orangeburg, Pearl River, Pomona, Suffern, Sparkill, Stony Point, Tappan, West Nyack, and neighboring towns in Bergen County, NJ such as Closter, Mahwah, Southfields, and Westwood. (Apr. 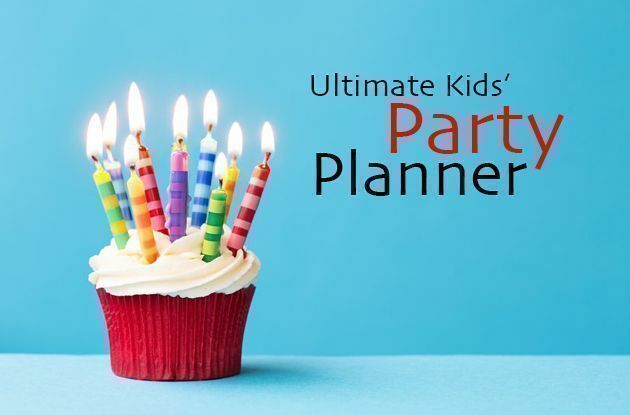 09, 2019) - UPDATED April 2019: No matter what theme or where your child wants to host their next birthday party, you'll need a venue, entertainment, and more. Good thing you've come to the right place! Our comprehensive birthday party planning guide for Manhattan has you covered. You'll find birthday party places across NYC, from sports centers and museums to indoor playspaces, theaters, carousels, STEM venues, and amusement parks. These party venues are located across Manhattan, in such neighborhoods as Lower Manhattan, Battery Park City, Upper West Side, Times Square, Midtown, Upper East Side, Tribeca, Chelsea, Greenwich Village, and Hudson River Park. And we can't forget birthday party entertainment! From clowns and princesses to cooking and mysteries you have to solve, you'll find party entertainers that will come to you, whether you're hosting your child's birthday in your Manhattan home or at a Manhattan birthday party venue..
(Apr. 09, 2019) - UPDATED April 2019: No matter what theme or where your child wants to host their next birthday party, you'll need a venue, entertainment, and more. Good thing you've come to the right place! Our comprehensive birthday party planning guide for Queens has you covered. You'll find birthday party places across Queens, from arcades and sports centers to dance studios, amusement parks, carousels, art studios, and cooking parties. These party venues are located in such neighborhoods as Fresh Meadows, Whitestone, Middle Village, Rego Park, Forest Hills, Corona, Flushing Meadows, Glendale, Astoria,and Jackson Heights. And we can't forget birthday party entertainment! From clowns and princesses to decor, you'll find the perfect entertainment for your child's birthday in across Queens. (Apr. 09, 2019) - UPDATED April 2019: No matter what theme or where your child wants to host their next birthday party, you'll need a venue, entertainment, and more. Good thing you've come to the right place! Our comprehensive birthday party planning guide for Westchester County has you covered. You'll find birthday party places across Westchester County, from theaters and restaurants, to art studios, indoor playspaces, aerial adventure courses, arcades, and sports venues. These party venues are located in such towns as Yonkers, Larchmont, Peekskill, Harrison, Port Chester, White Plains, New Rochelle, Mamaroneck, Purchase, Scarsdale, Pelham Manor, Mount Kisco, Ardsley, Rye, and beyond. And we can't forget birthday party entertainment! From clowns and princesses to ice cream and inflatable playscapes, you'll find party entertainers that will come to you, no matter where in Westchester County you live. (Apr. 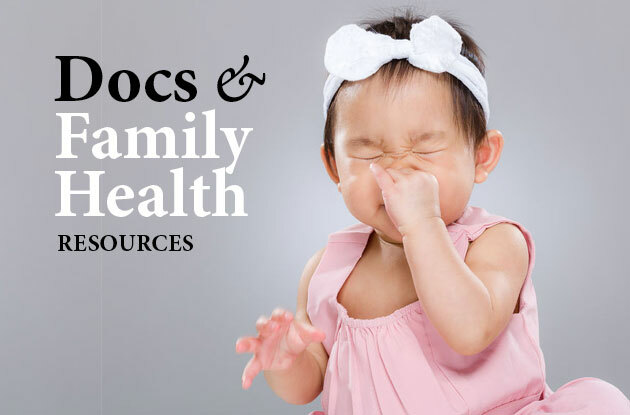 09, 2019) - UPDATED April 2019: With the abundance of health care professionals and services in Westchester County, finding the right one for your family can be time consuming. So we compiled a list featuring the best family doctors and pediatricians, hospitals and medical centers, fitness centers, and dentists and orthodontists. 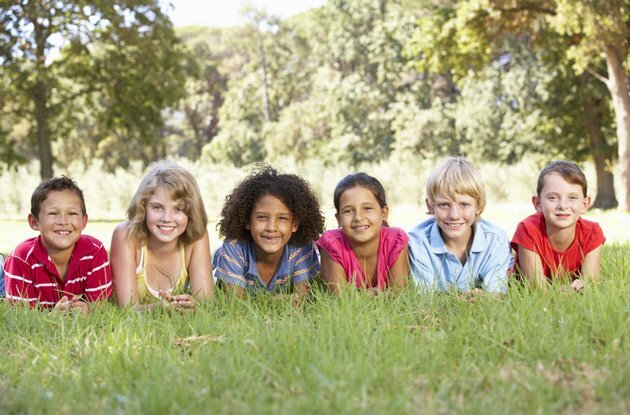 Whether you are looking for the best in care for your kids’ dental health, mental health, or physical health and fitness, Westchester County has these pediatric specialties covered. Plus, you’ll find dentists, doctors, and therapists who specialize in special needs, such as autism, ADD, ADHD, developmental issues, and physical disabilities. In addition, Westchester provides physical fitness facilities for opportunities to promote overall wellness with sports such as dance, swimming, tennis, gymnastics, basketball, and baseball. These health care and fitness services are found throughout Westchester County with locations including Mount Kisco, Mamaroneck, Mount Vernon, New Rochelle, Peekskill, Tuckahoe, Rye, Scarsdale, White Plains, Yonkers, and Montrose, plus locations in nearby Rockland County and Fairfield County, CT.
(Apr. 09, 2019) - UPDATED April 2019: Staying healthy and active is super important as a parent—and making sure our kids are healthy too is no small feat. Whether you're looking for a health care provider or a way to stay active in Rockland, we've got you covered with this comprehensive list of medical professionals in the area. From dentists, orthodontists, pediatricians, and doctors, to fitness programs, psychologists, OB-GYNs, and occupational and behavioral therapy, you're sure to find the best provider for your needs. These health care and fitness providers are located across Rockland County, including such towns as Nanuet, Orangeburg, Tappan, Garnerville, New City, Nyack, Pomona, Suffern, and West Nyack, as well as locations in Bergen County, NJ, including Ridgewood, Park Ridge, Tenafly, Fort Lee, Paramus, and Clifton. (Apr. 09, 2019) - UPDATED April 2019: Queens is home to a variety of doctors, dentists, health care plans, mental health professionals, and medical centers for kids and families, so you’re sure to find the provider you need. There are ways to keep your kids active in Queens, including playspaces, trampoline parks, dance studios, rock-climbing venues, basketball programs, tennis lessons, and soccer. You’ll also find health insurance providers, pediatricians, therapists and counselors, dentists, speech therapy, and orthodontists. These health care and wellness providers are located throughout Queens, including locations in neighborhoods such as Long Island City, Astoria, Forest Hills, Fresh Meadows, College Point, Middle Village, Rego Park, Bellerose, Sunnyside, Elmhurst, Jamaica, Bayside, Flushing, and Woodside. (Apr. 09, 2019) - UPDATED April 2019: We know nothing is more important than your family’s health and general wellness, so whether you are looking for pediatric medical and dental care, lice removal services, allergy care, or fitness centers, we have found the best providers and services for kids and families in Brooklyn. For family health care, you’ll find doctors, dentists and orthodontists, hospitals, medical centers, and therapists. To enhance your children’s overall wellness, you will find classes in taekwondo, trampoline, and more. These health care and fitness facilities are located throughout Brooklyn, including locations in Park Slope, Prospect Park, Clinton Hill, Fort Greene, Dumbo, Brooklyn Heights, Crown Heights, Carroll Gardens, Bedford, Williamsburg, Bay Ridge, Flatbush, Coney Island, and beyond. (Apr. 09, 2019) - UPDATED April 2019: If you’re on the search to find a new doctor or dentist for your child in Manhattan, you’ve come to the right place. After all, in a city full of opportunities to catch germs, it’s important to keep your kids healthy by getting them preventative health care. We searched the city for the best family doctors, pediatricians, and health centers in Manhattan, including pediatricians, dentists, fitness centers, sports programs, orthodontists, health insurance providers, and head lice removal services. These health and wellness providers are located throughout New York City, including locations on the Upper East Side, Upper West Side, Harlem, Midtown, East Village, West Village, Chelsea, Lower Manhattan, Soho, and Battery Park City. (Apr. 09, 2019) - UPDATED April 2019: No matter what theme or where your child wants to host their next birthday party, you'll need a venue, entertainment, and more. Good thing you've come to the right place! Our comprehensive birthday party planning guide for Long Island has you covered. You'll find birthday party places across Long Island, from arcades and sports centers to aquariums, fashion labs, music and art venues, and indoor playspaces. These party venues are located in Nassau and Suffolk counties, in such towns as Farmingdale, Syosset, Rockville Centre, Port Washington, Hicksville, Cold Spring Harbor, Roslyn, Plainview, Commack, Middle Island, Huntington, Amityville, Oceanside, Riverhead, Bellmore, Stony Brook, Oyster Bay, Greenlawn, Deer Park, Smithtown, Mount Sinai, Melville, New Hyde Park, and Miller Place. And we can't forget birthday party entertainment! From clowns and princesses to cooking and art activities, you'll find party entertainers in Farmingdale, Amityville, East Rockaway, and Rockville Centre, plus a few entertainment companies that offer party entertainment services across Long Island, no matter where in Nassau or Suffolk counties you live. (Apr. 09, 2019) - UPDATED April 2019: Staying active and healthy on Long Island is easy, especially when you have a variety of health and wellness services to choose from. To make it even easier, we found the best pediatric health and wellness providers in Nassau and Suffolk counties for you. Our directory helps you locate the best and most cost-effective pediatric care from family dentistry and orthodontics to therapeutic services such as speech therapy, behavioral therapy, and even feeding therapy. Additionally, you’ll find facilities that promote over wellness such as chiropractic care offices and fitness facilities. 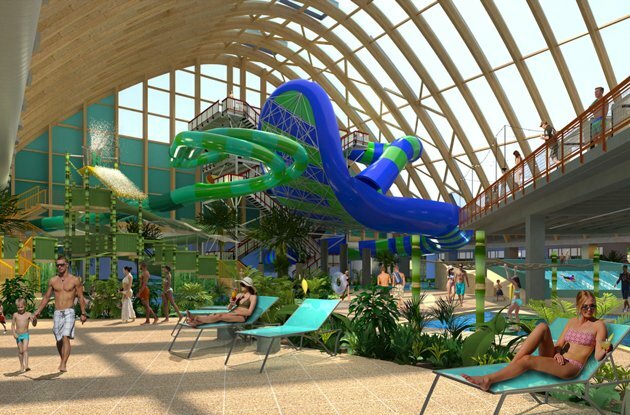 These health and wellness facilities are located in Nassau and Suffolk counties, including such towns as Garden City, Manhasset, Lake Success, Smithtown, Commack, Melville, and Westbury. (Apr. 09, 2019) - UPDATED April 2019: Interested in signing your child up for a dance class in Westchester County? Dance classes have proven to provide many important benefits for children of all ages beyond just the physical. Through dance, children build self-confidence, self-esteem, improve their listening skills and enhance their creativity and self-expression. Westchester County offers an excellent variety of dance programs and classes at every skill level for children from toddlers to teens. In addition to classes, many of the schools offer birthday parties and performance opportunities. 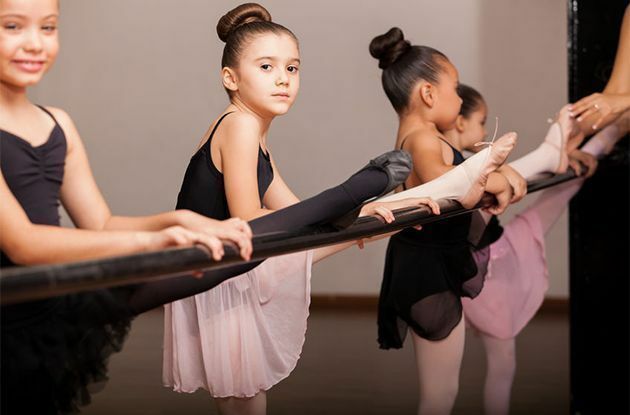 Find dance classes for kids in Westchester County, including dance studios and schools that teach ballet, jazz, tap, hip-hop, pointe, contemporary, modern, and musical theater in and near White Plains, Scarsdale, New Rochelle, Rye, Peekskill, Mamaroneck, Yonkers, Mount Kisco, Irvington, Tarrytown, Pleasantville, and beyond. (Apr. 09, 2019) - UPDATED April 2019: From tots to teens, Westchester County is home a broad range of programming to keep your child’s mind and body busy and fit after school! For the sports enthusiast, you’ll find a range of lessons, classes, and teams for such sports as soccer, swimming, baseball, gymnastics, cheer, basketball, and tennis. Is your child more interested in the performing arts? Westchester County is full of dance studios where children can learn jazz, ballet, hip-hop, tap, lyrical, and contemporary techniques, as well as theater and performing arts programs and classes in which children can learn acting techniques or learn to play an instrument, such as violin, piano, voice, cello, and guitar. Looking for academic enrichment to boost your child’s grades? We also feature programs for tutoring; learning a language such as French, Mandarin or German; test prep programs; and STEAM classes including robotics and 3-D printing. 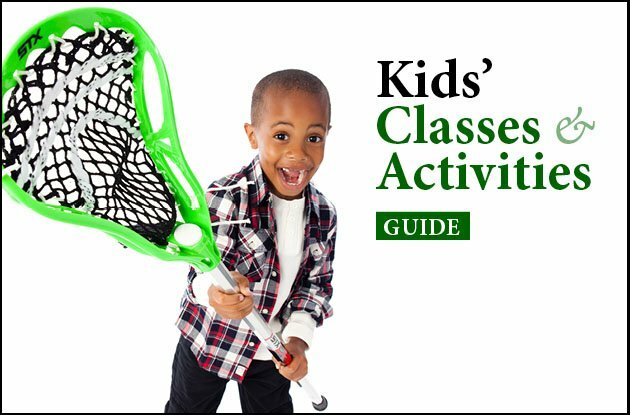 These after-school classes are located throughout Westchester County with locations including Ardsley, Bronxville, Elmsford, Mamaroneck, Larchmont, Dobbs Ferry, Port Chester, Harrison, Ossining, Tuckahoe, Valhalla, Purchase, Eastchester, New Rochelle, Rye, Scarsdale, White Plains, Yonkers, and Bronxville. (Apr. 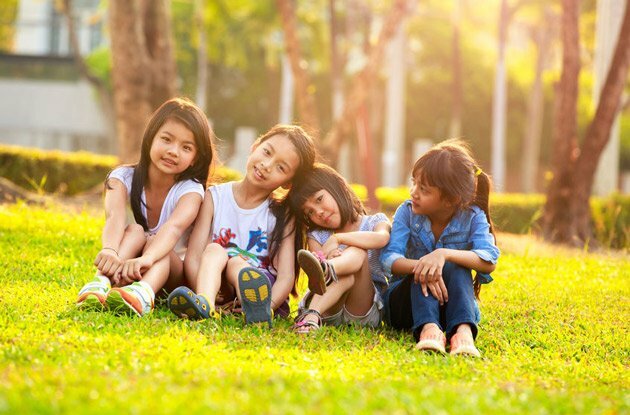 09, 2019) - UPDATED April 2019: This comprehensive guide of after-school classes, programs, and activities offered in Rockland County and Bergen County, NJ has options for any child, no matter what their interests are. Here, you’ll find after-school music classes, karate programs, performing arts, German lessons, art classes, math tutors, swimming, gymnastics, tennis, fitness centers, cooking classes, basketball, soccer, and dance, including ballet, tap, jazz, hip-hop, contemporary, and pointe. You can even find your after-school child care provider! And the best part? All of these programs are located in or near Nanuet, New City, Nyack, Orangeburg, Piermont, Airmont, Spring Valley, Suffern, Haverstraw, Pearl River, Stony Point, Tappan, Valley Cottage, Blauvelt, Allendale, Westwood, Pomona, Congers, West Nyack, Norwood, and Palisades. (Apr. 09, 2019) - UPDATED April 2019: Looking for the perfect after-school classes and programs to keep your children busy in Queens after the school day ends? We searched the borough and found the best after-school classes and programs for kids in Queens, including tutoring and academic programs, sports and fitness classes, dance and theater programs, foreign language classes, child care and day care centers, coding and STEM programs, and martial arts. These after-school classes, programs, and resources are located across Queens, including neighborhoods such as Jamaica, Fresh Meadows, Forest Hills, Long Island City, Astoria, Elmhurst, Bayside, Sunnyside, Flushing, Woodside, Jackson Heights, Middle Village, Rego Park, Auburndale, Floral Park, Whitestone, and Glendale, as well as locations in nearby Long Island and Manhattan. (Apr. 09, 2019) - UPDATED April 2019: Whether you’re looking for a traditional summer day camp for your first-time camper, a sleepaway camp that’s not too far away, or a specialty camp program, there are plenty of options in Queens to satisfy your summer camp needs. We’ve compiled a comprehensive list of summer camp programs in Queens, including day camps in Fresh Meadows, Jackson Heights, Kew Gardens, Little Neck, Flushing, Bayside, Middle Village, Long Island City, and Forest Hills; music camps, dance camps, academic enrichment camps, sports camps, and theater camps in Fresh Meadows, Flushing, Forest Hills, Jackson Heights, Rego Park, Woodside, Bayside, Auburndale, Astoria, Long Island City, Woodside, and Sunnyside; and sleepaway camps that are close to Queens in upstate New York and Connecticut. (Apr. 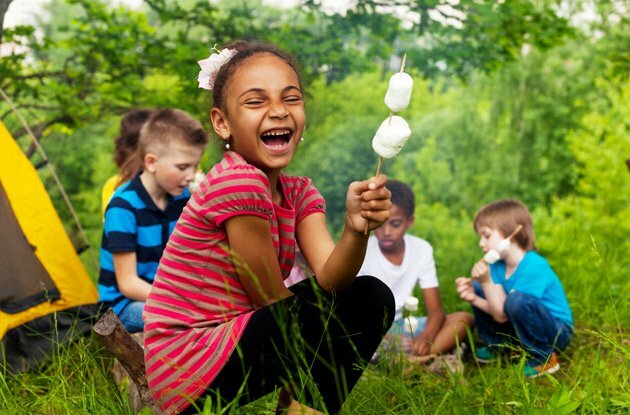 09, 2019) - UPDATED April 2019: Whether you’re looking for a traditional summer day camp for your first-time camper, a sleepaway camp that’s not too far away, or a specialty camp program, there are plenty of options in Manhattan to satisfy your summer camp needs. 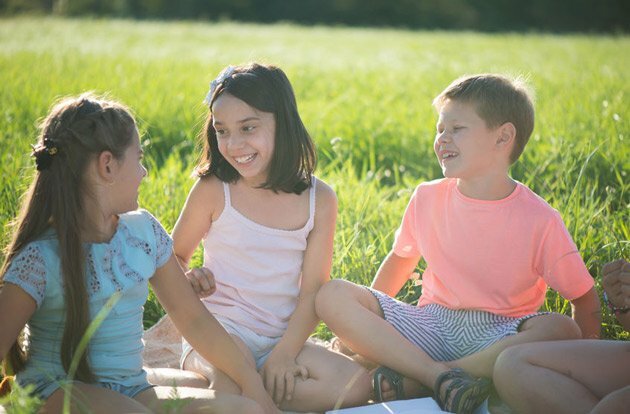 We’ve compiled a comprehensive list of summer camp programs in New York City including day camps in ams. Find the Manhattan summer day camp that’s right for your children, including day camps located in Battery Park City, Midtown, Chelsea, Upper East Side, Tribeca, Upper West Side, Central Park, Lower Manhattan, and the Bronx; music camps, dance camps, academic enrichment camps, sports camps, and theater camps in Midtown, Upper East Side, Upper West Side, Greenwich Village, Chelsea, and Downtown Manhattan; and sleepaway camps that are close to NYC in upstate New York and Connecticut. (Apr. 09, 2019) - UPDATED April 2019: For the child that is always dancing around the house, let their creative moves continue by finding a unique dance class or program for them in Brooklyn. After all, dance is shown to help kids with balance, coordination, self-esteem, and confidence! Whether your child is at a beginner or advanced level, is pursuing dance as a hobby or thinking about it at a professional level, you can find the best studio for your child by searching our list of Brooklyn instructor-led dance classes, programs, and dance schools for kids. These studios provide instruction in ballet, pointe, jazz, modern, hip-hop, tap, and contemporary dance styles, and some even teach gymnastics. Wherever you live in Brooklyn, you’ll find a dance studio near you, including locations in Williamsburg, Greenpoint, Park Slope, Prospect Park, Brooklyn Heights, Canarsie, Flatlands, Coney Island, Downtown Brooklyn, Boerum Hill, and Fort Greene, plus a few programs in Manhattan. (Apr. 09, 2019) - UPDATED April 2019: Whether your child is going to school for the first time or it’s her junior year of high school, there’s a lot accomplish before the school year begins in Westchester County. Are you considering sending your child to a private school or need a preschool? Looking for child care or an after-school program to keep your kid busy until you get home from work? Or maybe you need to find a doctor or dentist for the back-to-school checkup. Westchester County has so much to offer to families from academic enrichment and after school programs to private preschools, full-day schools, and religious schools, to health care providers, including foreign language programs, tutors, music, art, performing arts, gymnastics, tennis, swimming, ice-skating, STEM classes, doctors, dentists, and therapists. 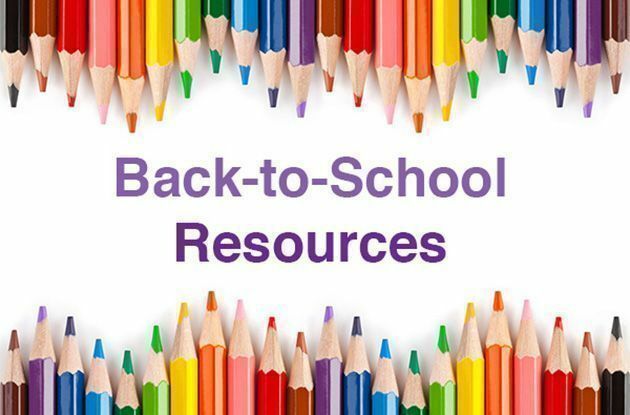 These back-to-school resources, schools, and after-school activities are located across Westchester County with locations in Briarcliff, Dobbs Ferry, Elmsford, Larchmont, Mamaroneck, New Rochelle, Rye, White Plains, Scarsdale, Ossining, Valhalla, White Plains, Purchase, Port Chester, Peekskill, New Rochelle, Harrison, Mount Kisco, Mount Vernon, Bronxville, and Yonkers.